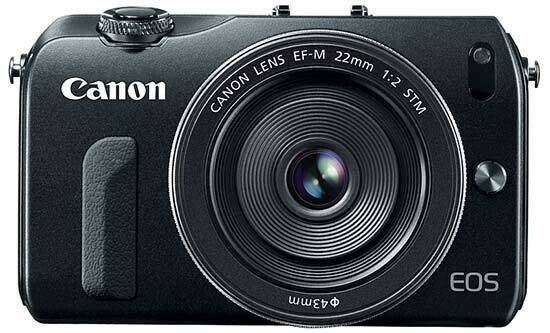 Canon’s debut take on a compact system camera in the EOS M was always going to generate big interest, even if its own manufacturer’s introduction of it has seemed oddly muted and lacking in fanfare to date. Is the reason obvious because Canon simply wants to avoid cannibalising sales of its own DSLRs and the likes of the PowerShot G15 with the EOS M, or will a bigger promotional push come early in the New Year? Whatever the backroom thought processes, we are left with a reasonably successful if slightly quirky blending of a Canon PowerShot camera with one of its newer consumer DSLRs, such as the 650D. Perhaps that is what any CSC from Canon was always going to be, in spite of the long wait we suffered before its arrival. For what we get the EOS M still feels pricey though, particularly when a similar outlay will get you a Wi-Fi equipped model possibly with an integral viewfinder from one of the competitors. In conclusion it is the picture quality that counts however, and we were pleasantly surprised and impressed with the output from the EOS M. If you want EOS quality, yet from a smaller form factor, whilst not perfect in every single regard (and which ‘first attempt’ ever is? ), this camera can deliver.